What’s there not to like about a great homemade hot cocoa mix, especially paired with homemade shortbread cookies. Trust me on this, once you’ve made and had your own cocoa mix, you will never buy another one of those packaged varieties from the store. A version of this cocoa recipe came from Alton Brown on the Food Network. After making a few changes, it is now one of our family favorites. Combine all ingredients in a mixing bowl and incorporate evenly. Store in a sealed container in an airtight container. It keeps indefinitely in the pantry or on your counter top. To make, heat water to boiling. 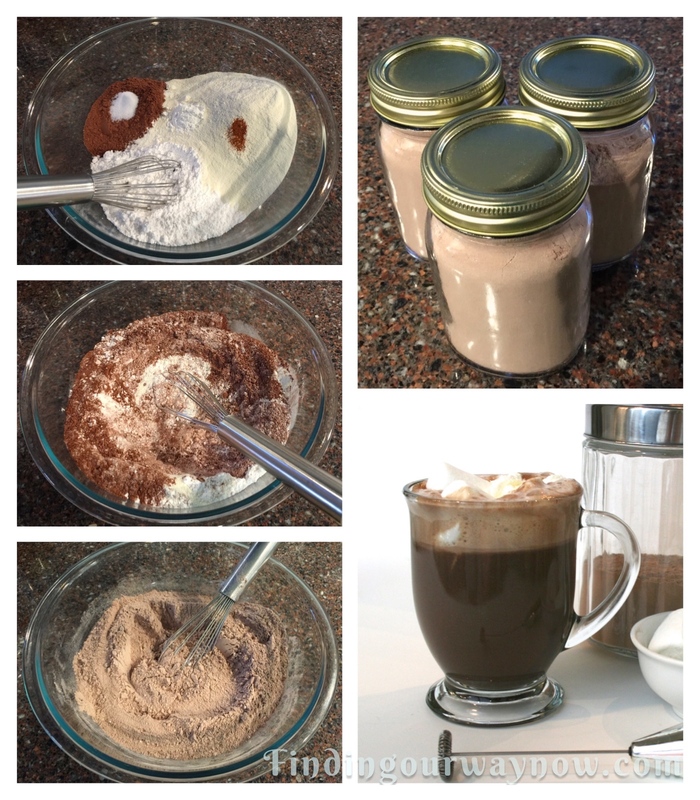 Using a funnel, pour the cocoa mix into a decorative jars, label, and store in your pantry. It will keep indifferently. To serve, fill your mug or cup half full with the cocoa mixture and pour in the hot water until it fills the cup. Stir with a small or electric whisk to thoroughly combine the mix with the water. Add whipped cream or marshmallows to taste and enjoy. Notes: The cayenne makes all the difference; so don’t even think about leaving it out. Always use the best cocoa powder you can find. If you double this recipe, as I often do, use 1/2 teaspoon of cayenne. 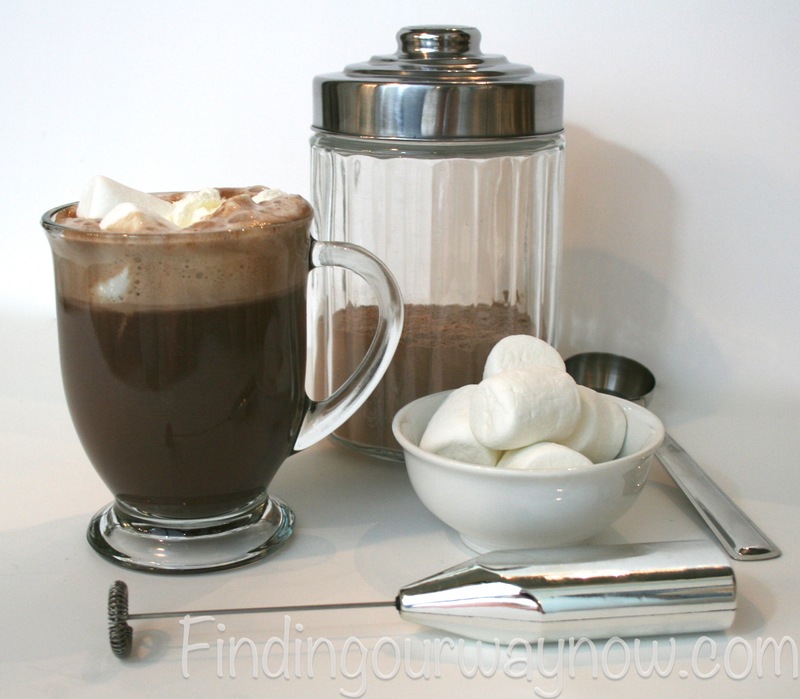 This homemade hot cocoa mix is something I’ll make and give away for gifts in decorative jars around the holidays. Add some homemade marshmallows and you have a real winner of a gift. 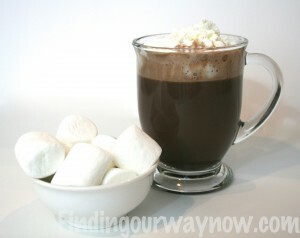 The hot cocoa and marshmallow combination one many of my friends will ask for when come for a visit. 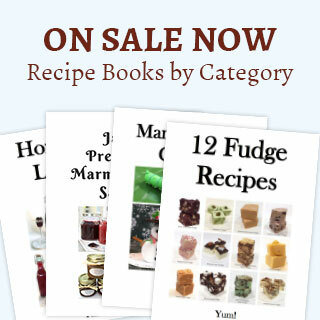 It goes especially well with biscotti’s, scones or two or a few of my homemade shortbread cookies. If you enjoyed this “Homemade Hot Cocoa Mix” recipe, check out some of my others such as the Homemade Marshmallows, Easy Danishes & Easy Breakfast Coffee Cake.